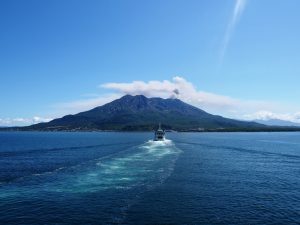 Sakurajima Half Day Drive Course | Kagoshima Love! This article introduces our actual travel course. 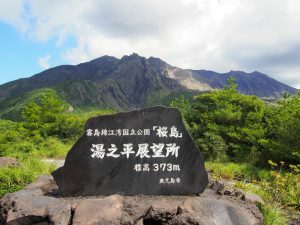 Please refer to the article to enjoy Kagoshima’s symbol Mt. Sakurajima! Clicking icon leads you to each article. 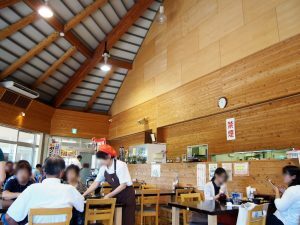 12:00　Have a lunch at Michinoeki at Michinoeki Sakurajima Hinoshima Megumi Kan.
14:00 Enjoy Wonderful Scenery at Yunohira Observatory at 4th station of Sakurajima. 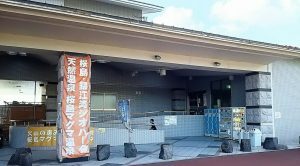 16:00 Enjoy natural hot spa at Sakurajima Maguma Spa. 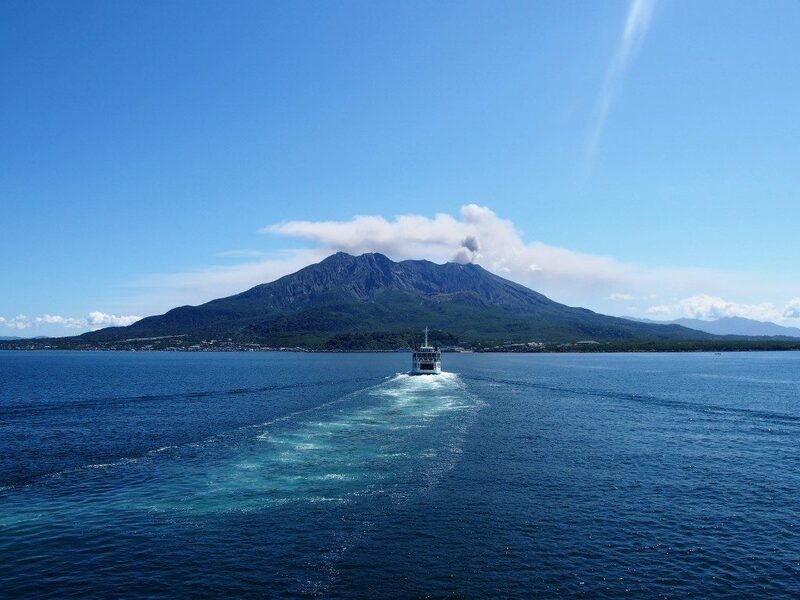 18:30 Board Sakurajima Ferry and return to Kagoshima City.